Our qualitative range of products includes Aloe Amruta, Aloe Shakti, Nari Saheli, Ortho Rich, Univeda, Tejobala, Unicool Hair Oil, Pure Pain Relieving Oil. 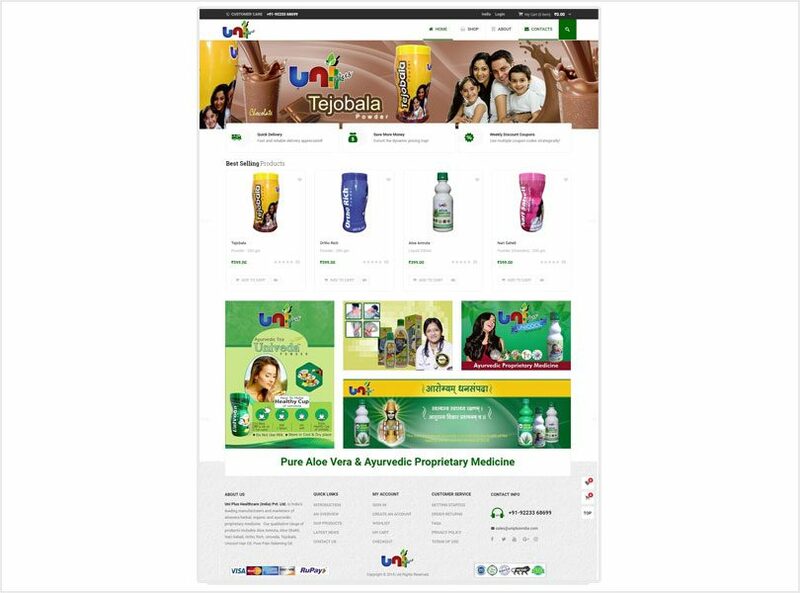 Incepted in the year 2008, Uni Plus aspires to lead the competition by providing pure herbal aloevera products. The Managing Director of the company, Mr. Vijay Gavali has incorporated his deep knowledge and experience to deliver natural products worldwide. Quality forms a vital part of our company. We have adopted quality-driven philosophy and have successfully delivered pure and natural herbal products globally. All our products are tested on various quality parameters such as side-effects and purity, before they reach the clients. Our state-of-the-art infrastructure forms the foundation-stone of the company. The company’s manufacturing unit is equipped with avant-garde machineries and a pool of experienced human resources. Our team of experts incorporates their years of experience domain expertise to deliver clinically tested products. Besides this, our R&D professionals work relentlessly to bring in a range of new range of products.